Baumann Wohlenberg - Latest news, Information and dates around Baumann Wohlenberg. Under this motto we want to give you and your customers the opportunity to experience live our innovative post press solutions. In the printing industry, our everyday business is to help our customers to produce and deliver high quality print products in the shortest possible time and in the most cost-effective way. For this, especially the time factor requires high flexibility in all processing steps. In order to meet the ever increasing customer demands – and thus remaining competitive – there is no other way but to invest in automated process solutions. 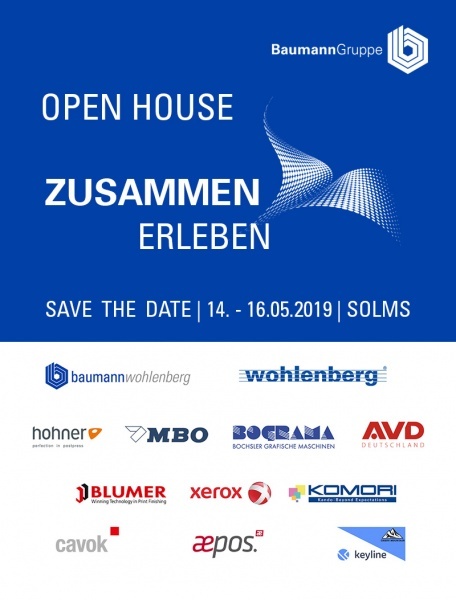 As one of the technology and market leader within the graphic industry we want to show you during our open house two of our latest innovative automation solutions. Following the completely automated jogging process we have now also automated the cutting process. BASS is the name of the latest innovation developed by Baumann. BASS stands for Baumann Automatic Cutting System and does exactly what its name implies. For all products that have the same cross-sectional layout, the integrated robot takes over the tasks of the operator. Before the cut, the layer is positioned at the back gauge and held in position until the clamping bar fixes the layer. After the cut, he takes over the alignment of the layer and then transports it to the next processing machine. This feeding can be done either to the right, left or, in alternation, to the right and left. 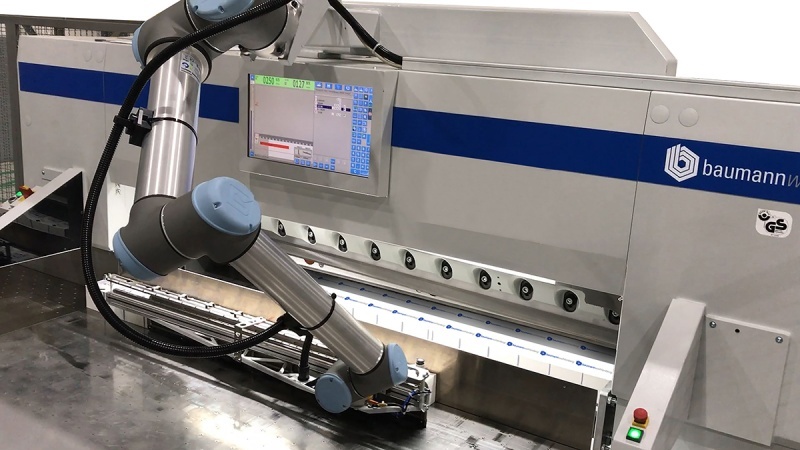 In practice, for example when cutting labels, two die cutters can simultaneously be fed -automatically and unmanned - meaning that two orders can be processed at the same time - round the clock, in 3-shifts. In combination with the fully automatic jogging system BASA, our multi buffers and additional processing systems, it allows to further increase efficiency. In addition to the higher number of processed orders, the constant processing process speaks for itself, increasing efficiency and improving the planning of orders, thus increasing customer satisfaction. Further advantages include the physical and temporal relief of the skilled workers, as well as modern, future-oriented workplace designs. The users do not have to be doctors or developers. The programming of the robot is simple and fast and is carried out by the operator via an additional control panel, in just a few steps. This guarantees minimum set-up times, even with changing orders. If required, the automatic cutting system can of course also be operated manually as a "simple" cutting machine. For this purpose, the robot is simply moved to its stop position above the machine, thus lying outside the working area of the operator. Following the completely automated jogging process with the Baumann BASA system, baumannwohlenberg has now also further automated the cutting process. Baumann thus strengthens again its position among the leaders in innovation and technology for cutting processes and logistics in the graphic industry sector. After his long career as Managing Director at Baumann Maschinenbau Solms GmbH & Co.KG Mr Volkmar Assmann retired by end oft the year 2017. During his 30 years career with the company, he significantly led it, in terms of Development to its present successful status. We thank Mr. Assmann for this great achievement and wish him all the best for his well-deserved retirement. Mr Markus Frick has become the new Managing Director responsible for Baumann Maschinenbau Solms GmbH & Co. KG by 1st. Jannuary 2018. 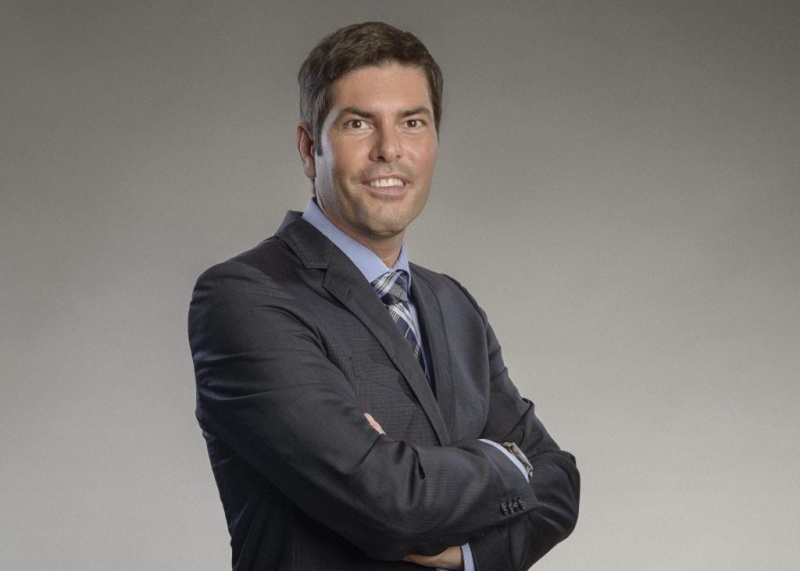 Mr. Markus Frick has a lot of experience in the management of medium-sized engineering companies. We are confident that he will shape the future of the company, in the interest of all of us. We therefore ask that you please give Mr. Frick and his team your trust. We look forward to further successful cooperation with you. New ergonomics, combined in a compact cutting system. Thanks to the autostart function for the handling equipment, which has been integrated into the cutter's control, the operator can concentrate on his cutting tasks. 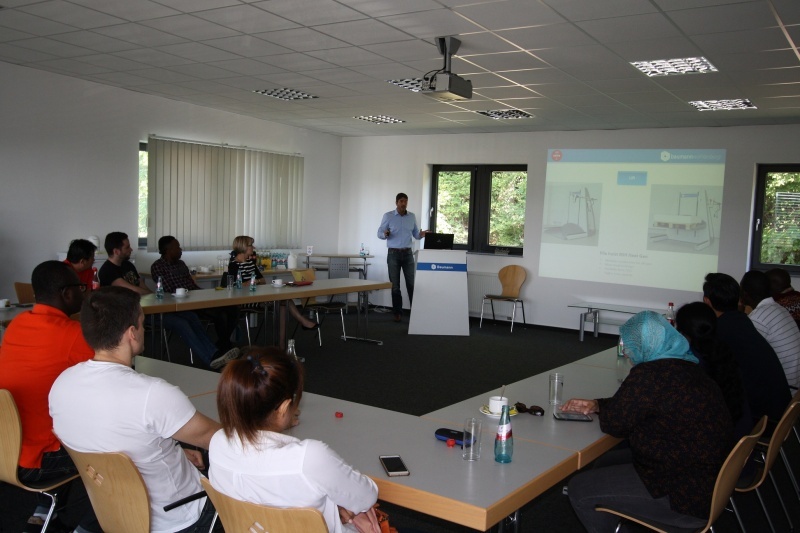 Have a look at the Ergo-System Beta Plus "live and in action"
At the beginning of July, BaumannWohlenberg welcomed a group of specialist teachers and professors from schools and universities of 14 different countries. 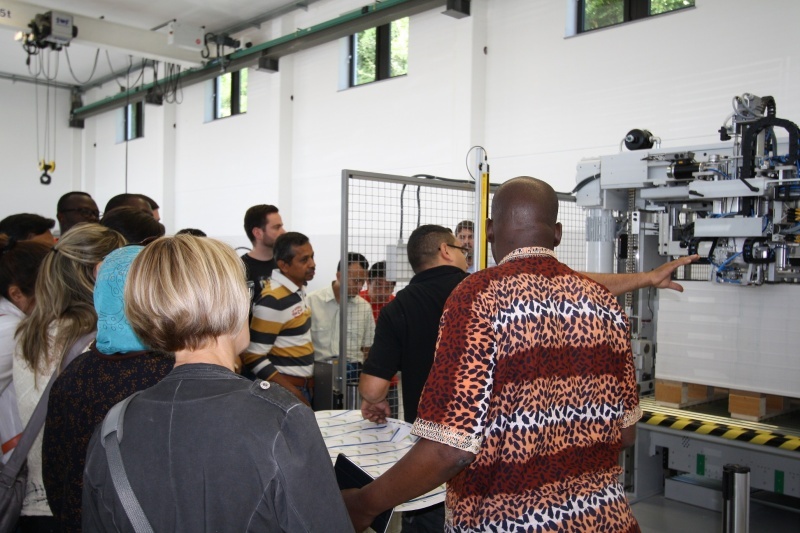 After a presentation of the BaumannWohlenberg product range, the participants had the opportunity to see different systems and stand-alone machines "live" in the company's show room. . The 4-cut-system DELTA has been especially designed for the processing of medium cutting volumes. It offers high productivity in combination with perfect ergonomics. All main components can be used either automatically or manually. In November, we held a training for mechanics and service-technicians here at our BaumannWohlenberg cutting centre in Solms. 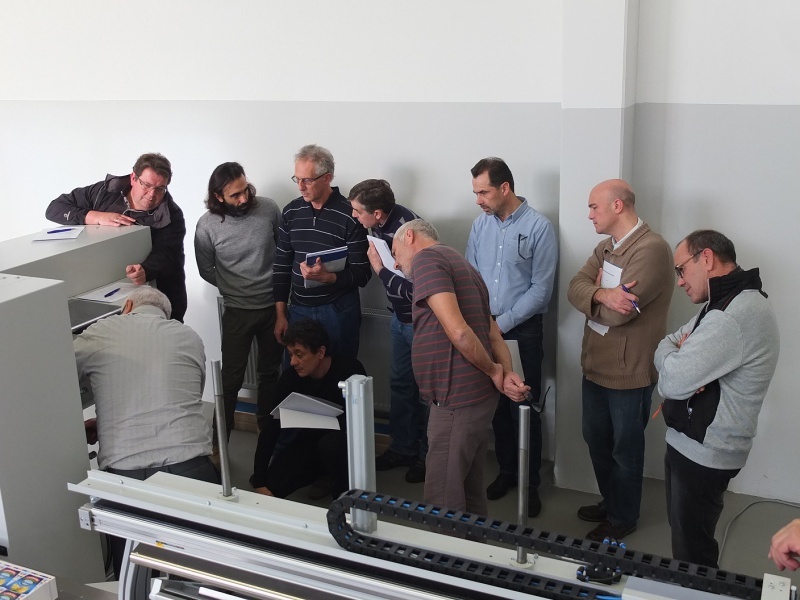 The main topics were the installation, maintenance and trouble-shooting at Wohlenberg high-speed cutters and Baumann peripheric equipment. 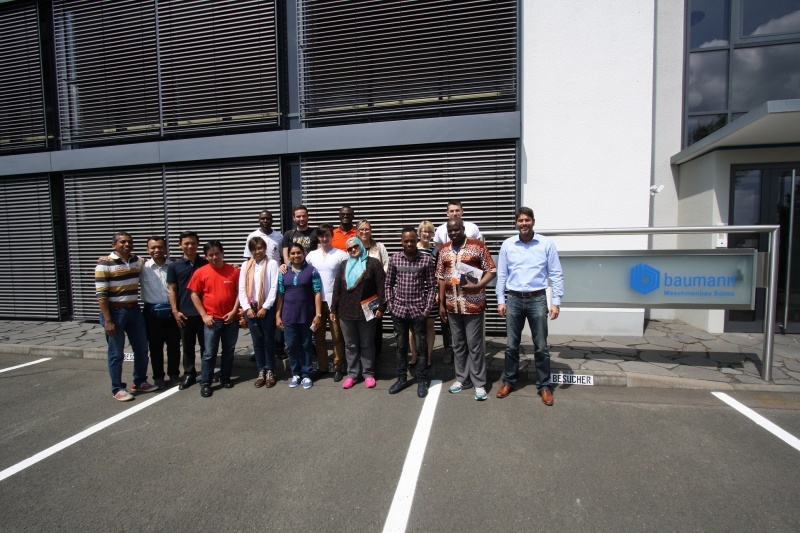 Of course, there was also time to exchange practical experiences, face-to-face with colleagues from other countries. 2/3 of DRUPA 2016 are already history – the perfect time for a first look at the intermediate result of the show, which has so far been very positive, according to BaumannWohlenberg. 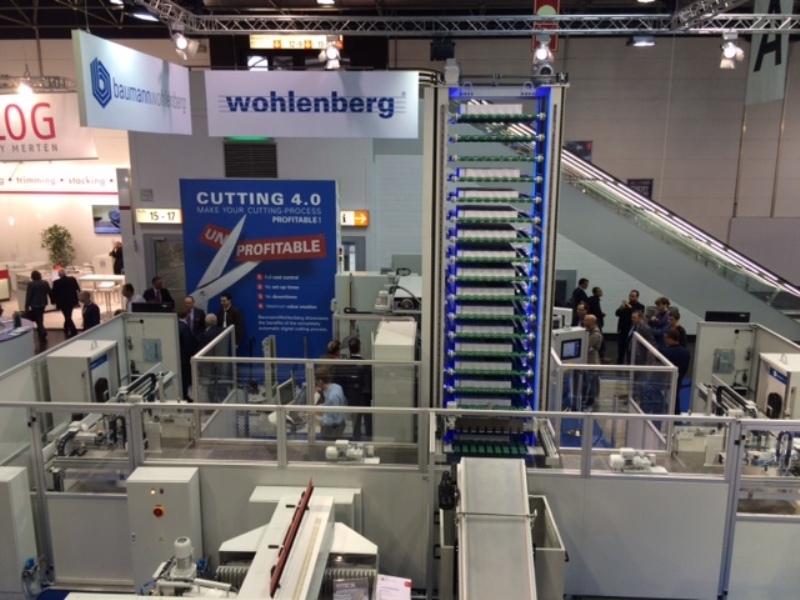 „It is overwhelming to see, how many visitors are interested in our new Cutting System Gamma 4.0“, says Volkmar Assmann, managing director at BaumannWohlenberg. This system has been made for all customers, who process large cutting volumes and who are confronted with cutting times of more than 5 minutes per ream – the majority of the orders consisting of small and medium print runs. During DRUPA 2016, you can have a look at the new cutting system Gamma 4.0, which will be showcased at the BaumannWohlenberg booth N° A32 in hall 14. 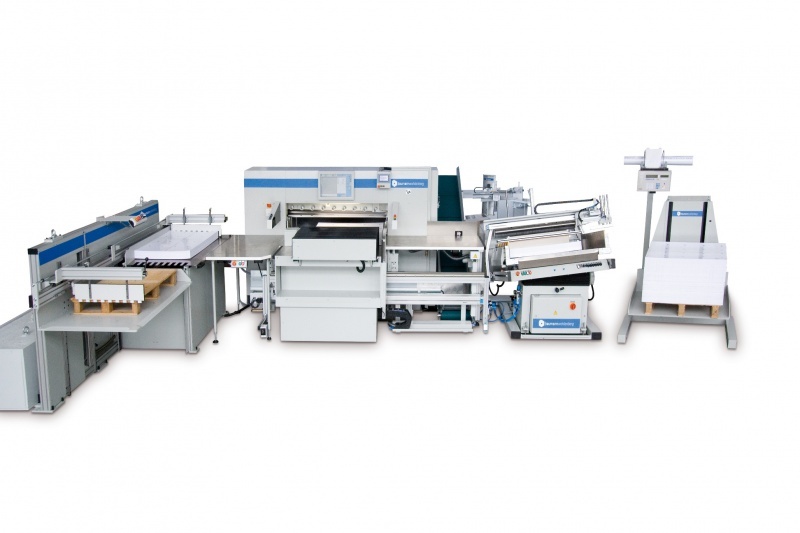 The new cutting system Gamma 4.0 primarily addresses all customers who handle a large cutting volume with a cutting time per ream of more than 5 minutes – most of them with a large number of jobs with medium and short print-runs. Cutting 4.0 is a very important step towards the networked print shop, which helps to eliminate non-productive and down-times. It won't be long until DRUPA 2016 in Duesseldorf will open. Our online showroom is already open and is being updated regularly. 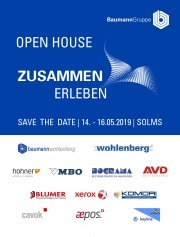 As we don't want to give away all our secrets, yet, our DRUPA-System is still missing; however, our online show-room has already been filled with many different Baumann-Wohlenberg machines and is certainly worth a visit. .